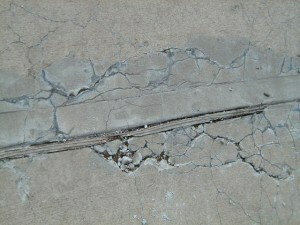 D-cracking is cracking in concrete pavements caused by freeze-thaw cycles deteriorating the aggregate in concrete. Water naturally accumulates at the base and sub-base layers under concrete. When this water suffers from freeze-thaw cycles it wears on the durability of the concrete and begins to crack in the aggregate at the base of the concrete working its way to the surface. Since the cracking begins beneath the surface it is hard to detect D-Cracking before it becomes visible on the surface of the pavement. 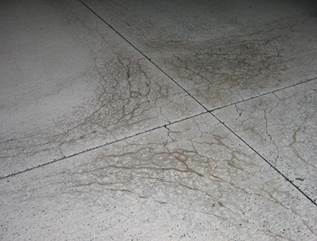 This kind of cracking is more susceptible to occur in concrete on ground level such as foundations, roadways, and sidewalks.Preventative measures can be taken to help avoid D-Cracking such as air-entraining. This is the addition of air within concrete to allow water to easily expand and contract during freeze-thaw cycles without adding strain to the aggregate in the concrete. However, increasing the air volume within concrete decreases the strength creating a limit to which this can be used. Other options are selecting aggregates to be used that perform better in freeze-thaw cycles or reducing the particle size of the aggregates to strengthen the concrete. 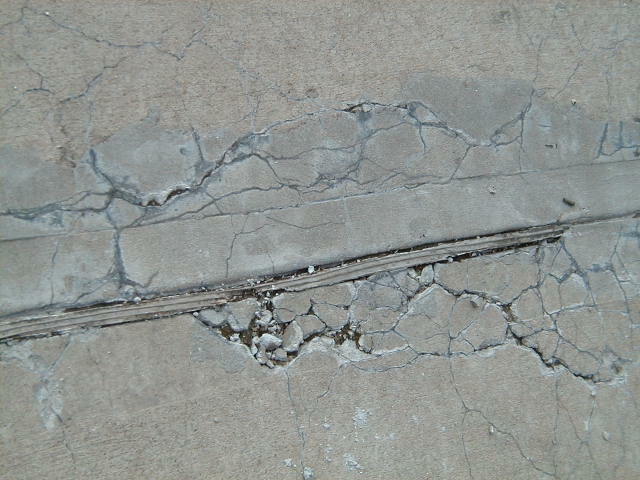 D-cracking in a concrete slab is a progressive structural deterioration of the concrete beginning in certain types of susceptible coarse aggregate, caused by repeated freezing and thawing after absorbing moisture. The problem, which is more significant in larger sized particles, starts well out of sight at the base of the slab near the joints. 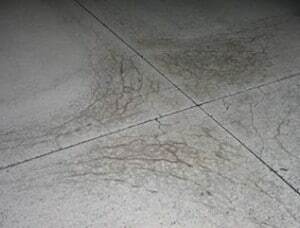 Generally, it takes several years to progress upward to the top of the slab where it first becomes visible as a series of small cracks, often preceded and accompanied by dark discoloration of the concrete surface. D-cracking usually is’ not detected in the early stages except by core drilling. Where is D – Cracking generally found? D-cracking is generally found initially at longitudinal and transverse joint intersections and later at transverse cracks. Figure 2 shows D-cracking at a joint intersection and at a transverse joint. The deterioration starts in the corners and progresses along the joints with transverse joints usually exhibiting the most rapid damage. How can we control Durability Cracking? It is important to use a high quality durable aggregate; or if use of moderately susceptible sources is necessary, use a suitably small maximum particle size. Some aggregates, such as high quality dolomite and rocks of igneous origin are not so prone to such cracking, while aggregates with high proportions of chert and certain types of lime stones are very poor risks. Some marginal materials can be made to perform adequately by limiting the maximum particle size to about l/2-in. is the selection of durable materials. 1.1 What is Durability Cracking? 1.2 Where is D – Cracking generally found? 1.3 How can we control Durability Cracking?